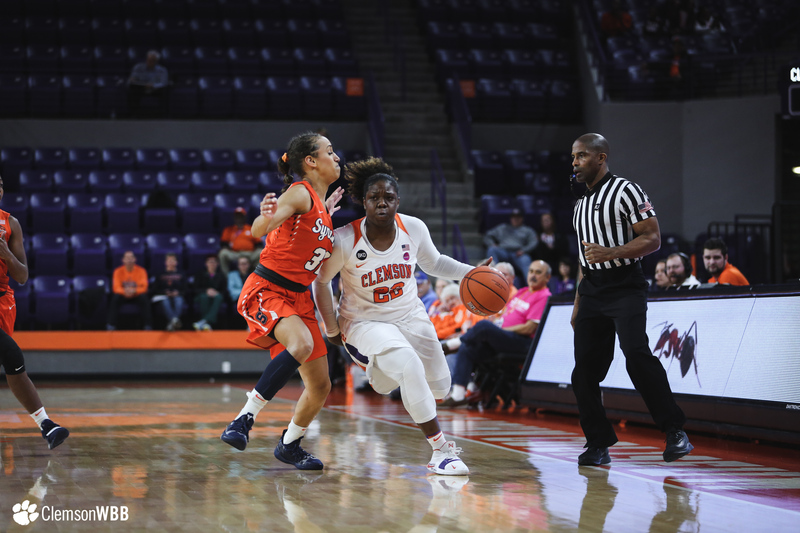 CLEMSON, S.C. — The Clemson Tigers (9-5, 0-1) opened Atlantic Coast Conference action with a high-scoring affair, battling the Syracuse Orange (12-2, 1-0) to the end, but the Orange ultimately came out on top, 84-75, after knocking down 16 threes in the game. 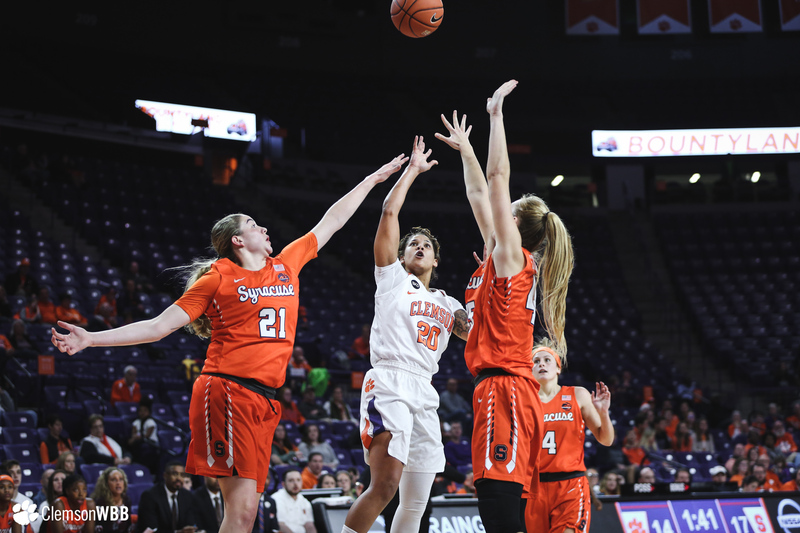 Although they trailed by as many as 19 in the third quarter, the Tigers fought valiantly down the stretch and outscored the Orange by five in the second half. 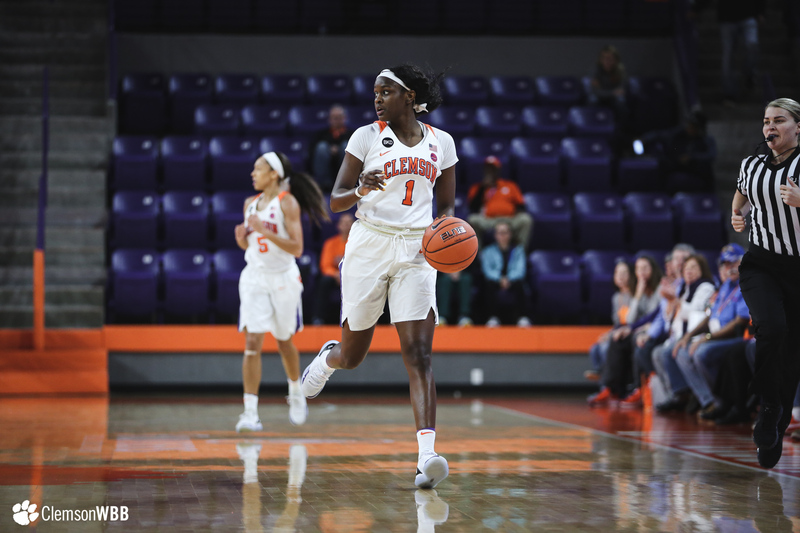 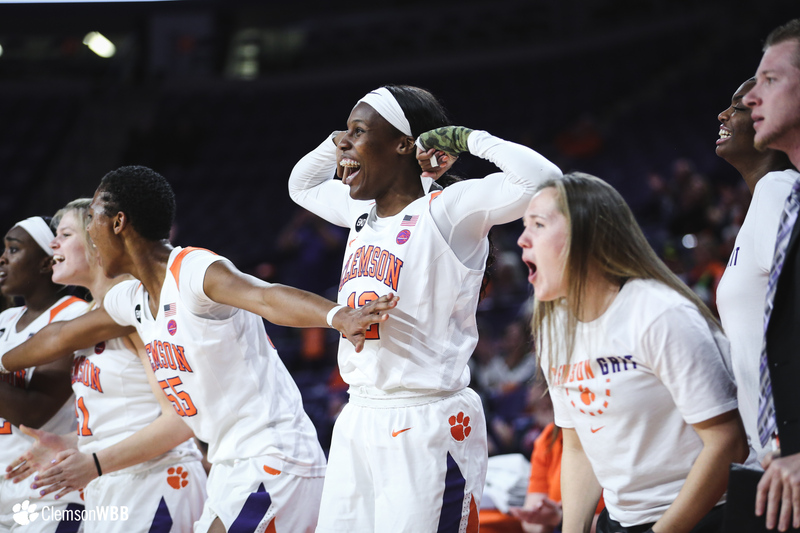 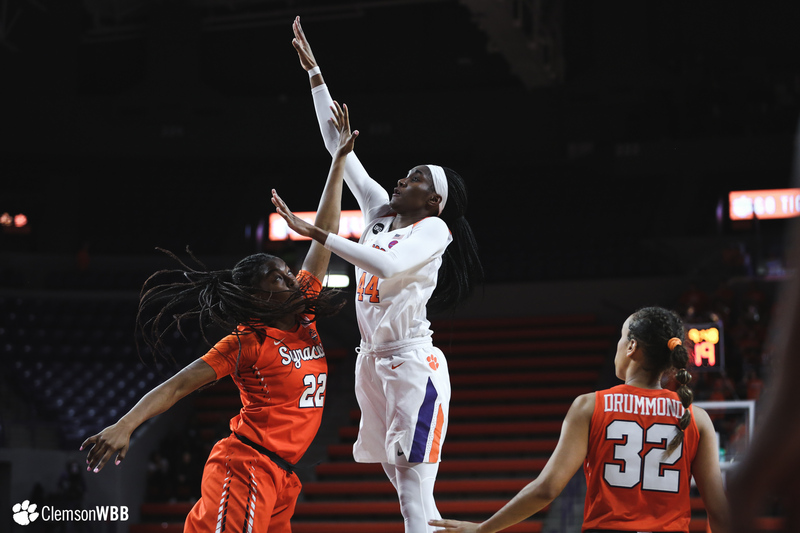 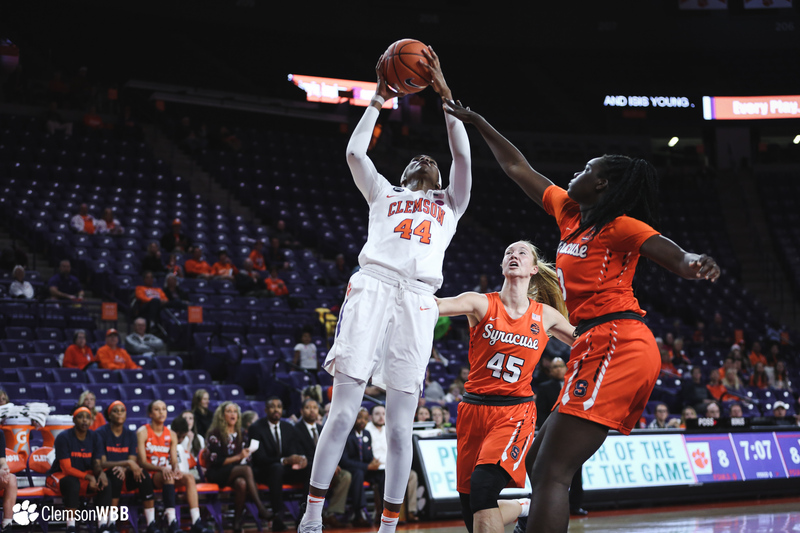 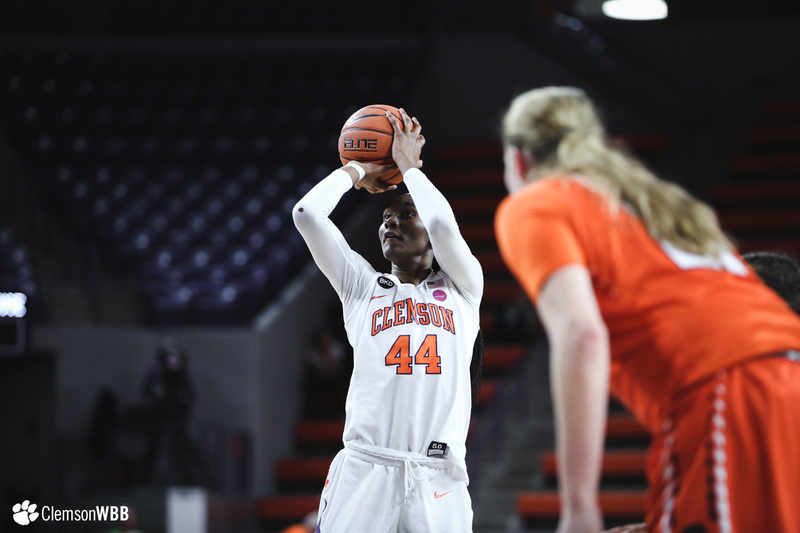 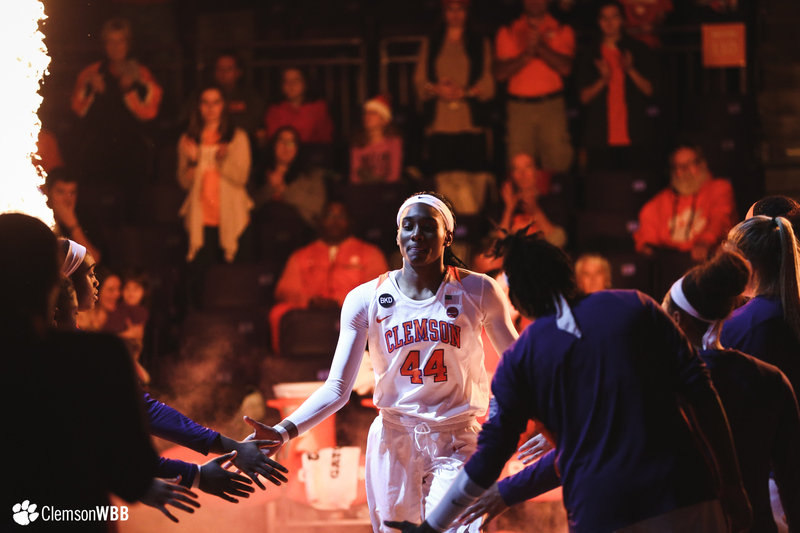 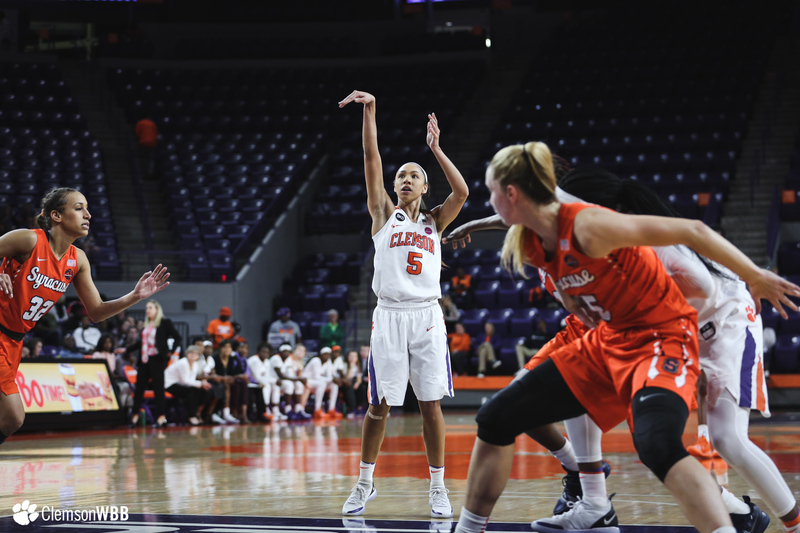 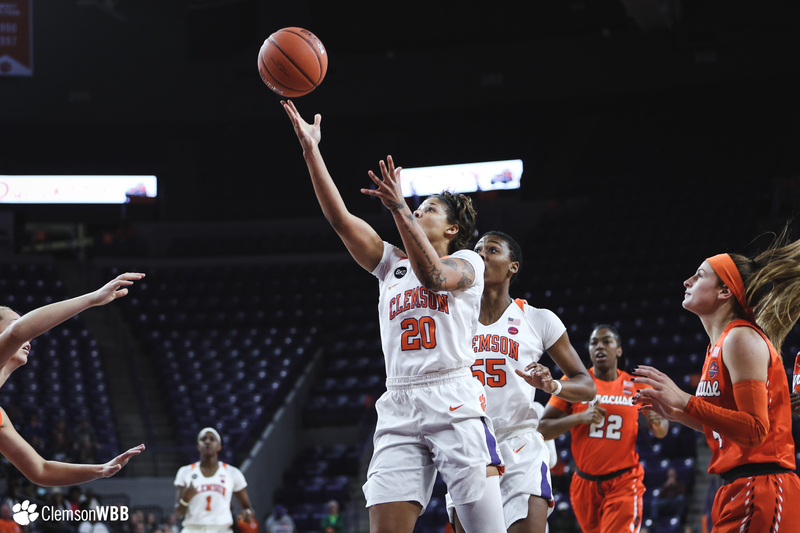 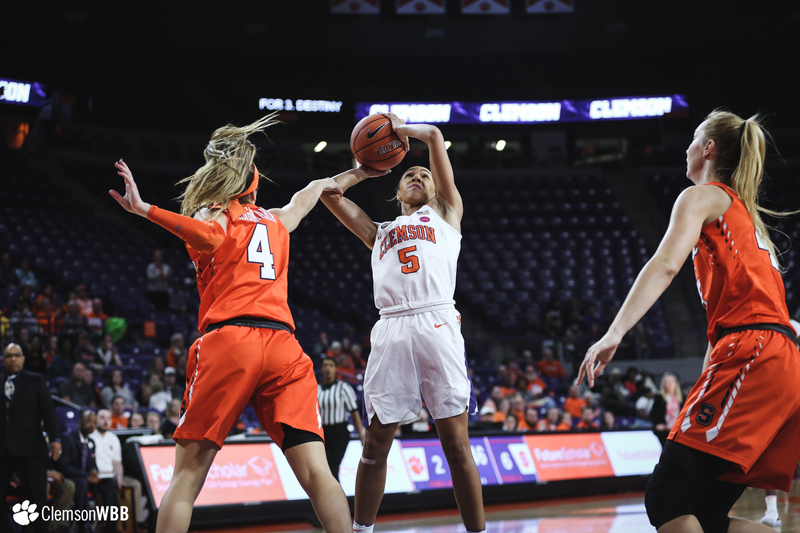 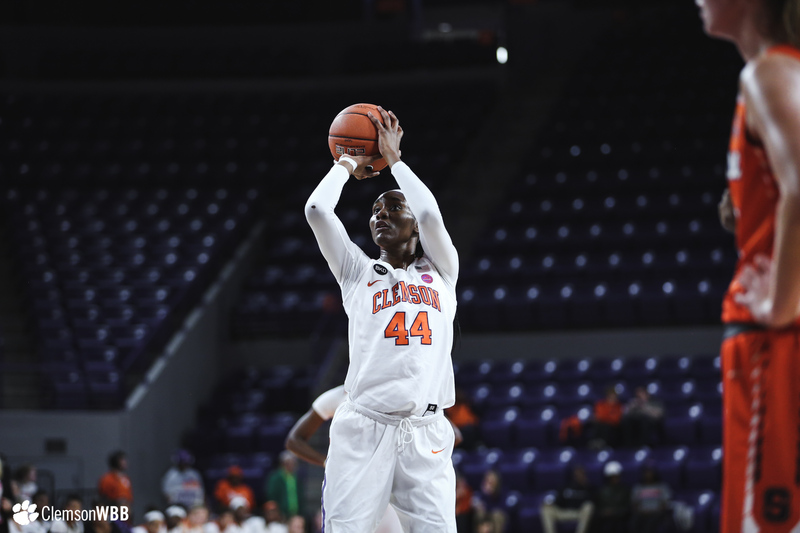 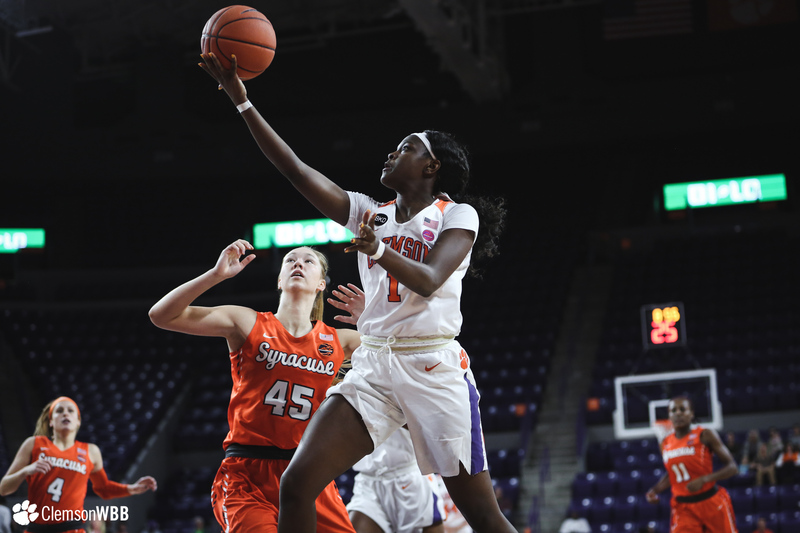 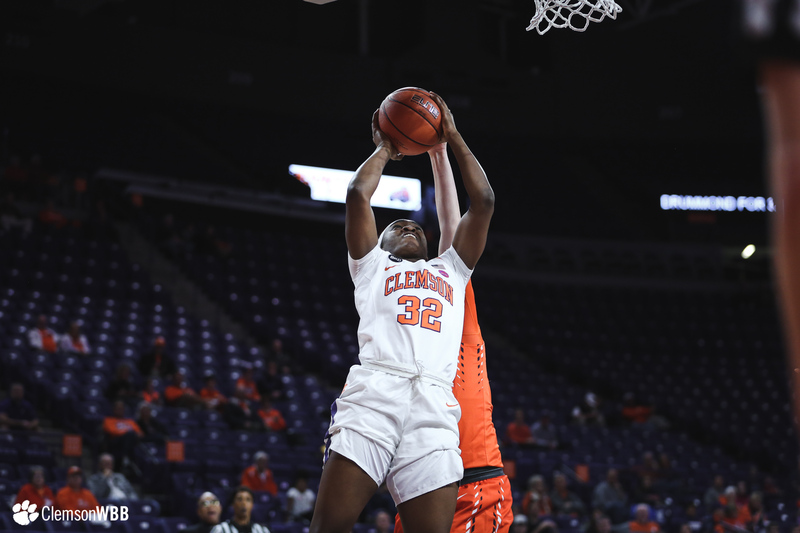 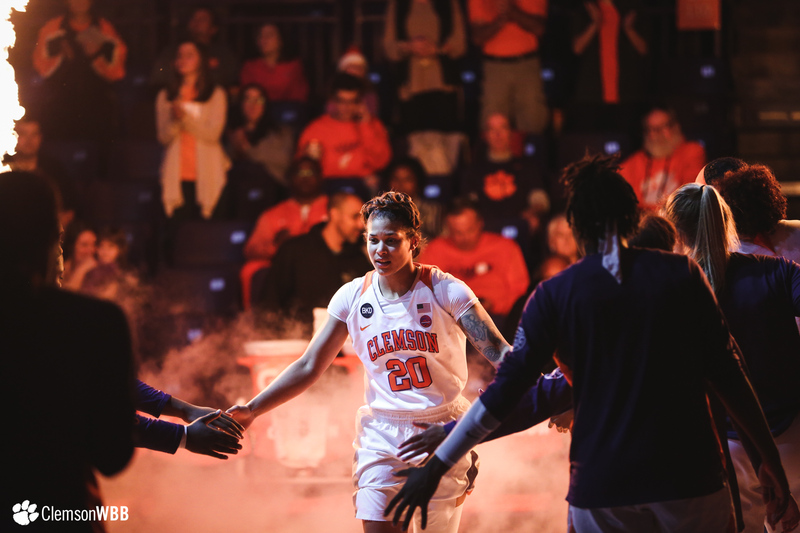 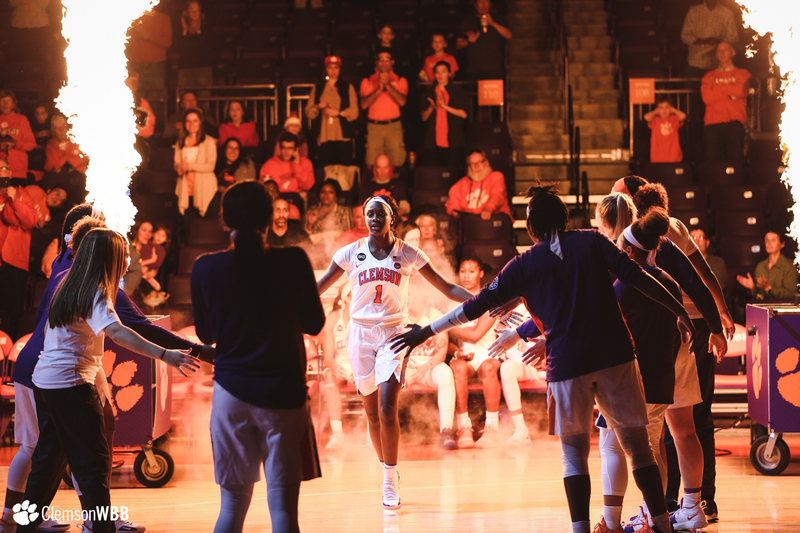 One game after surpassing the 1,000-point plateau for her career, Clemson guard Danielle Edwards once again proved her scoring prowess, matching her season high of 24 points on 9-of-14 shooting. 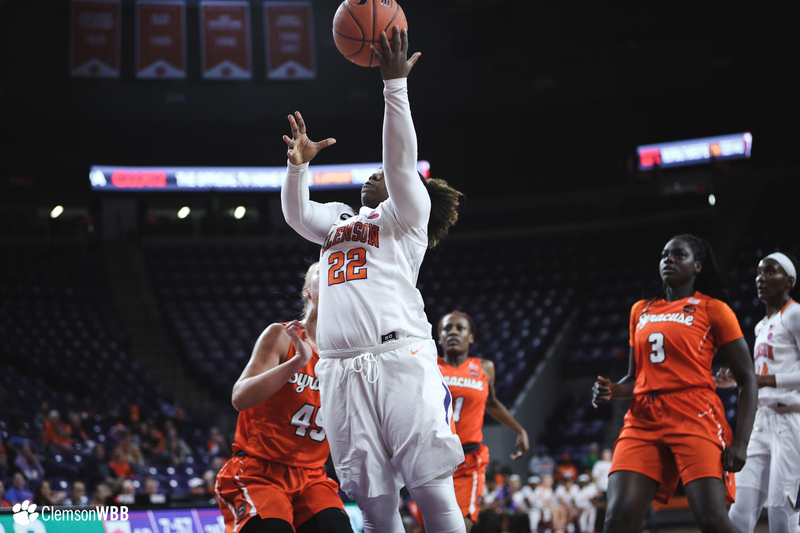 Down low, forward Kobi Thornton produced her 13th career double-double with 20 points and a game-high 12 rebounds. 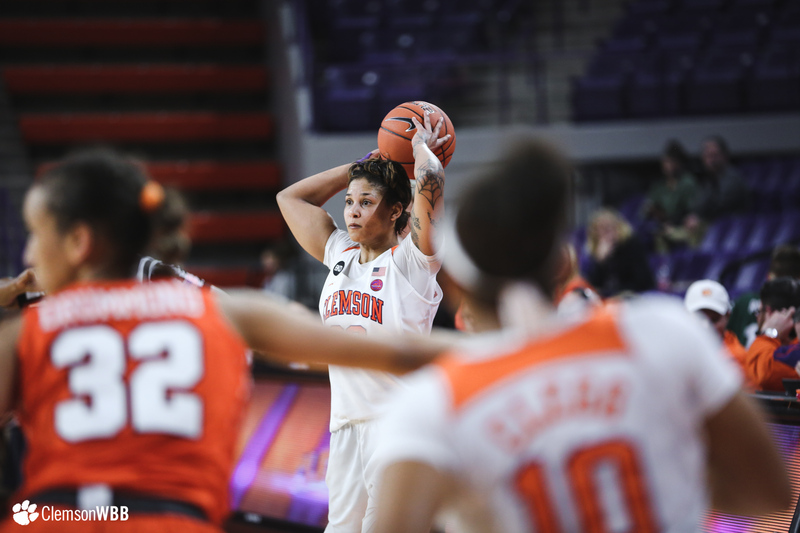 Guard Simone Westbrook was a key contributor for the Tigers, as well, scoring in double-figures for the seventh straight game. 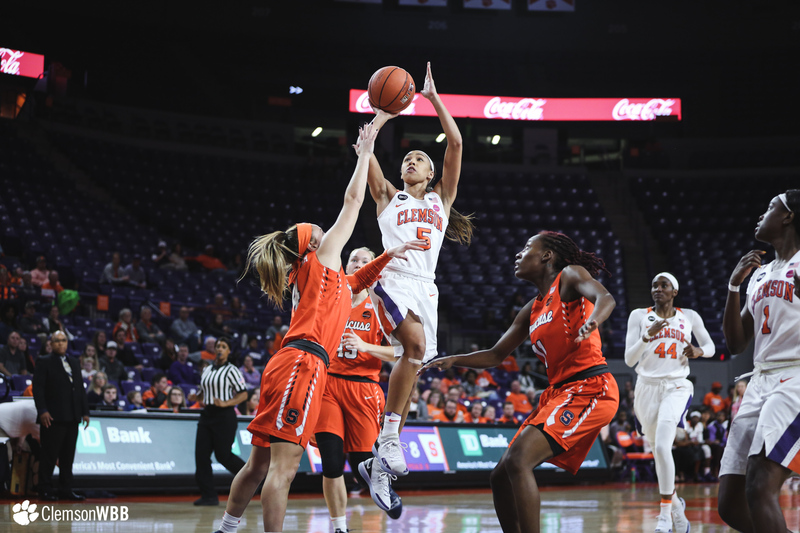 With 42 points in the paint, Clemson kept pace with the hot-shooting Orange via a dominant performance inside. 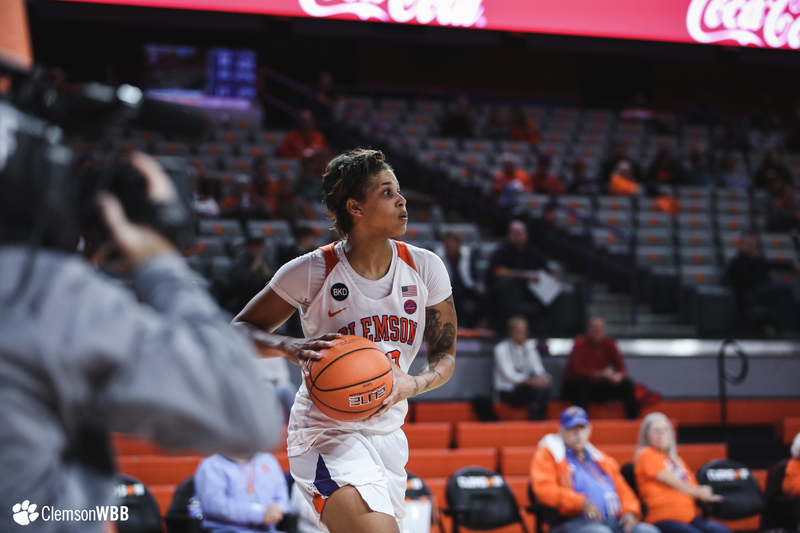 The Tigers also excelled at drawing fouls, shooting 19 more free throws than Syracuse and finishing the night 24-of-39 at the charity stripe. 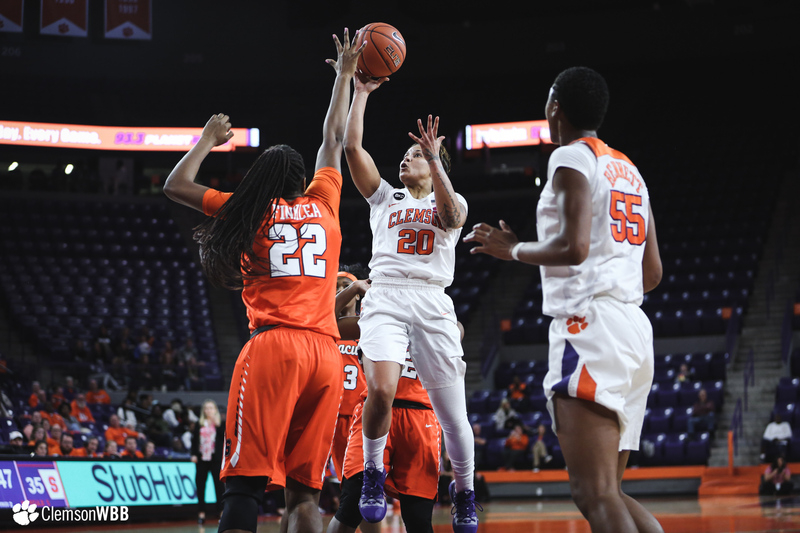 The fast break was key for the Tigers as they tallied 14 points in transition. 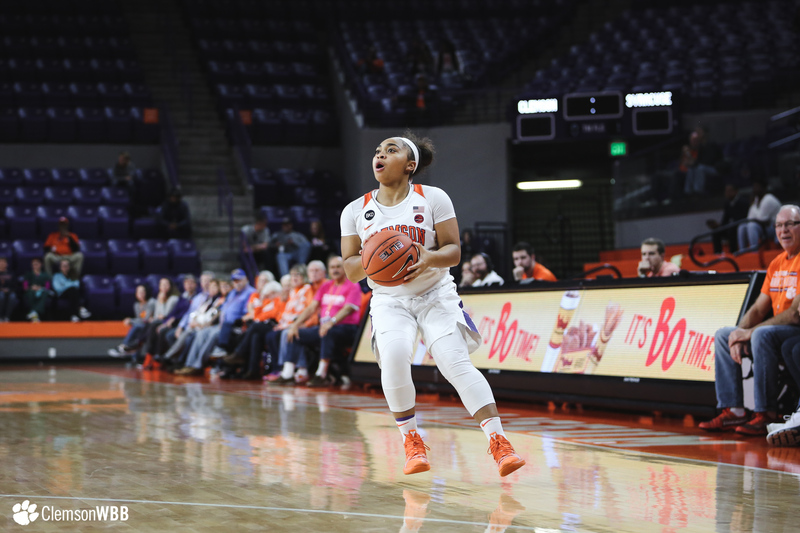 Edwards leading all scorers with 22 points. 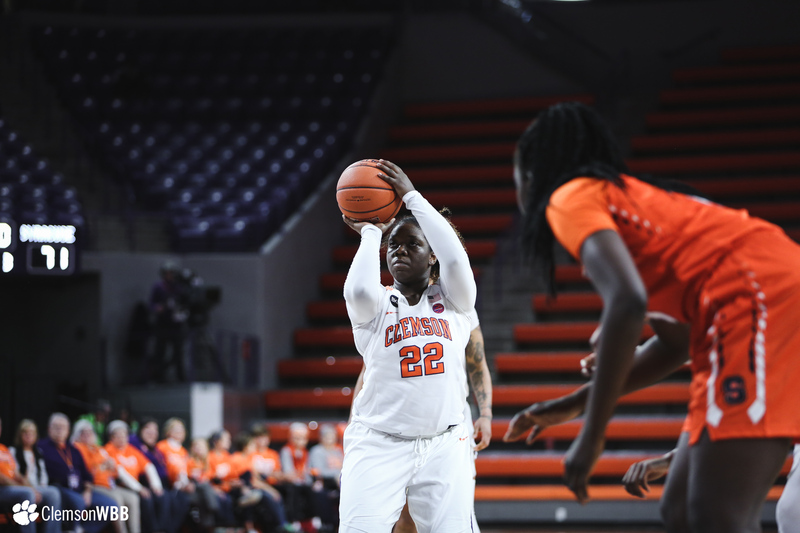 Back-to-back 20-point outings for the guard. 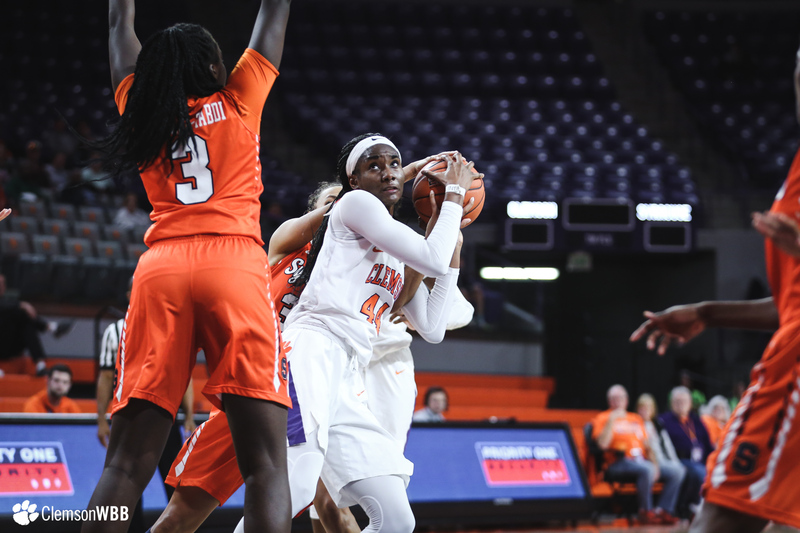 After taking a lead midway through the first quarter, the Orange never trailed again, using an 8-0 run late in the second quarter to take a 14-point lead into the intermission. 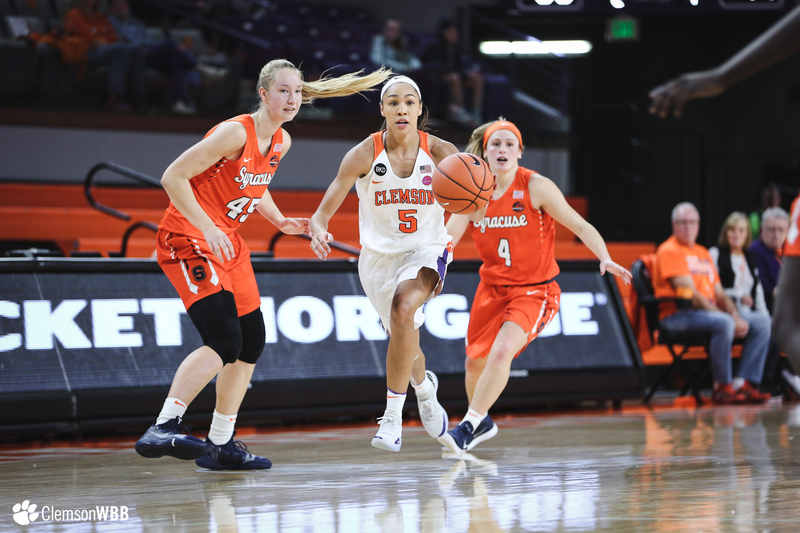 Down 19 points in the third, Clemson battled its way back into the game, highlighted by a 3-point play by Westbrook to make the score 62-55 with 31.8 seconds remaining in the quarter. 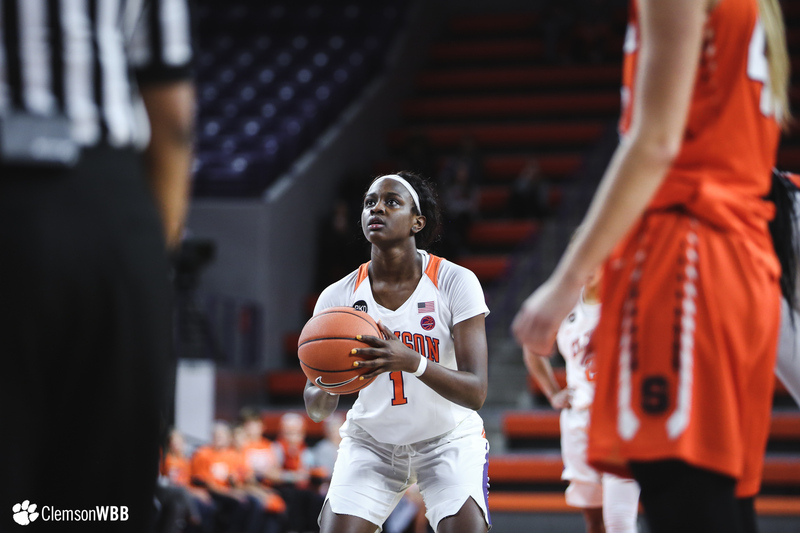 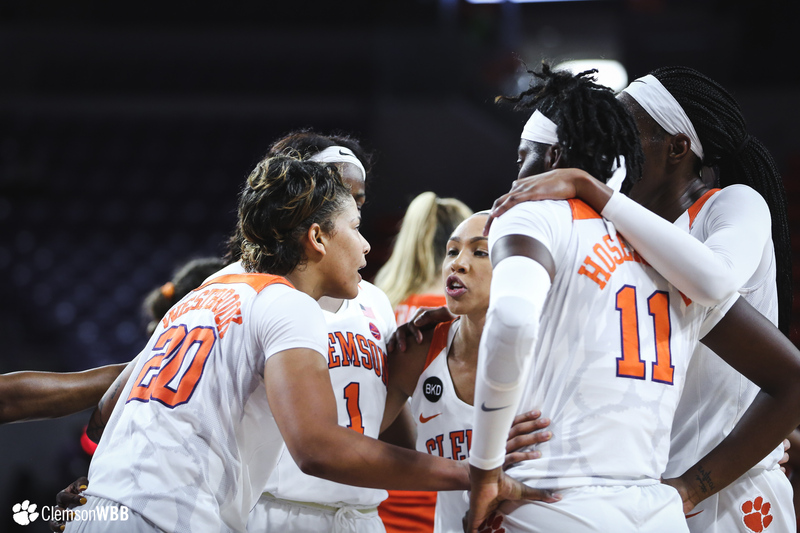 The Tigers remained resilient from the field in the fourth quarter as Edwards came up with a 3-point play of her own to decrease Syracuse’s lead to four points. 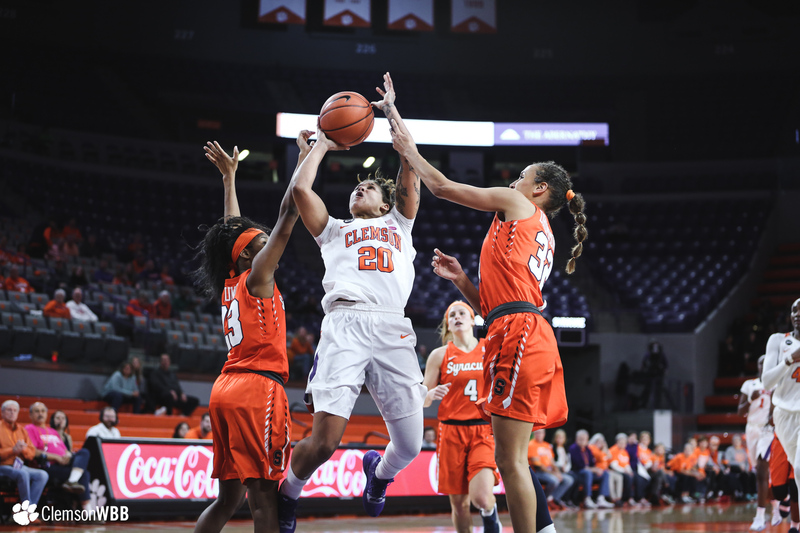 Soon afterward, a block by Thornton out of a timeout culminated in a fast-break layup for Westbrook to bring the Tigers to within one possession of the Orange. 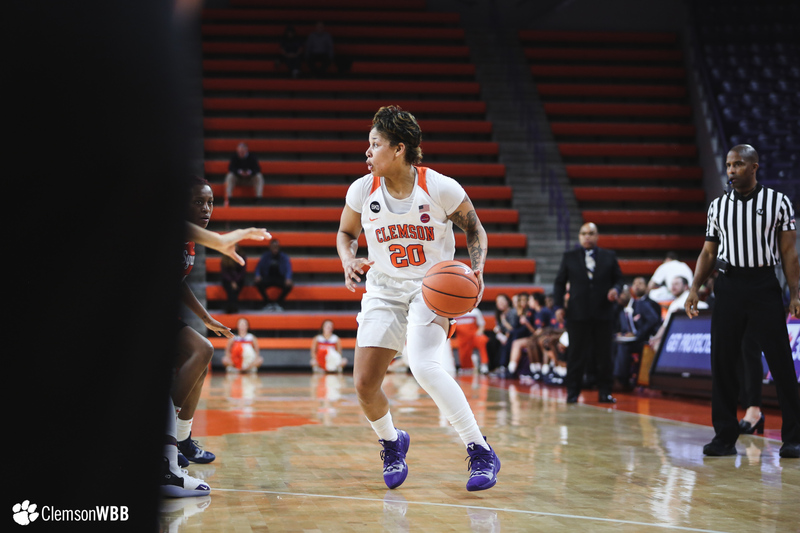 However, late three balls by Syracuse staved off the Clemson comeback and the Orange left Littlejohn with a 9-point win. 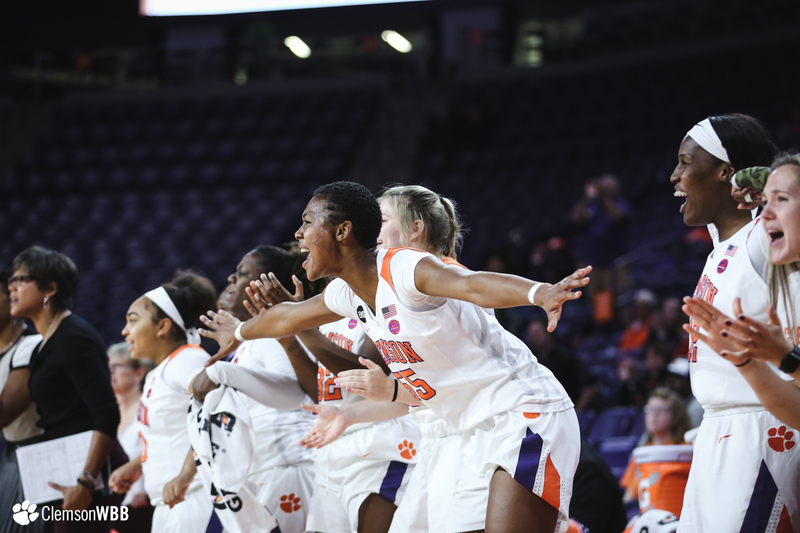 The Tigers return to action on Sunday, Jan. 6, hosting the Virginia Cavaliers (6-8, 0-1) at home. 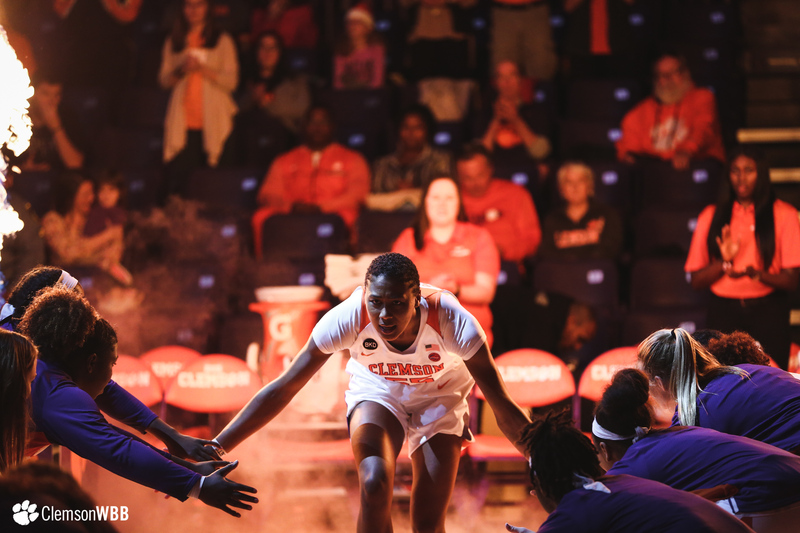 The ACC duel is set to tip off at 2 p.m. and will air on ACC Network Extra.